A CEO of MindIT providing Bid and Proposal Management solutions. As a Certified Practitioner with APMP, have transformed the Pre Sales functions and helped Companies win more in the market place. 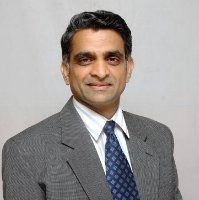 He is Vice President of Client Services for Majesco Mastek based out of New Jersey. He is also responsible for the revenues and gross margins for all clients in North America. Having managed a team of 600+ staff across various locations on the globe and led a team of BAs, Solution Architects, Project managers in conceptualizing innovative responses to Business opportunities and RFPs. He is Practice leader for Workflow in Asia Pacific for PricewaterhouseCoopers.